A sudden I start to panic: am I sure of my identification? I’ve never seen this plant in the wild! We turn on the iPad Audubon app and lo and behold, Audubon calls this plant extremely poisonous. Fast forward ten minutes, and we are all on the side of the road with our fingers down our throats, forcing ourselves to puke up this supposedly toxic plant. It was a whole roller coaster of an experience and I’m glad the outcome was what it was: the fruit out of our system, and it being edible in the first place. But nature is a powerful thing and though it provides, it can take away, too. This was a really good lesson. My sister had her birthday out in the country, and naturally, the nephews were there. Someone needed to watch them out in the front garden where they can play. 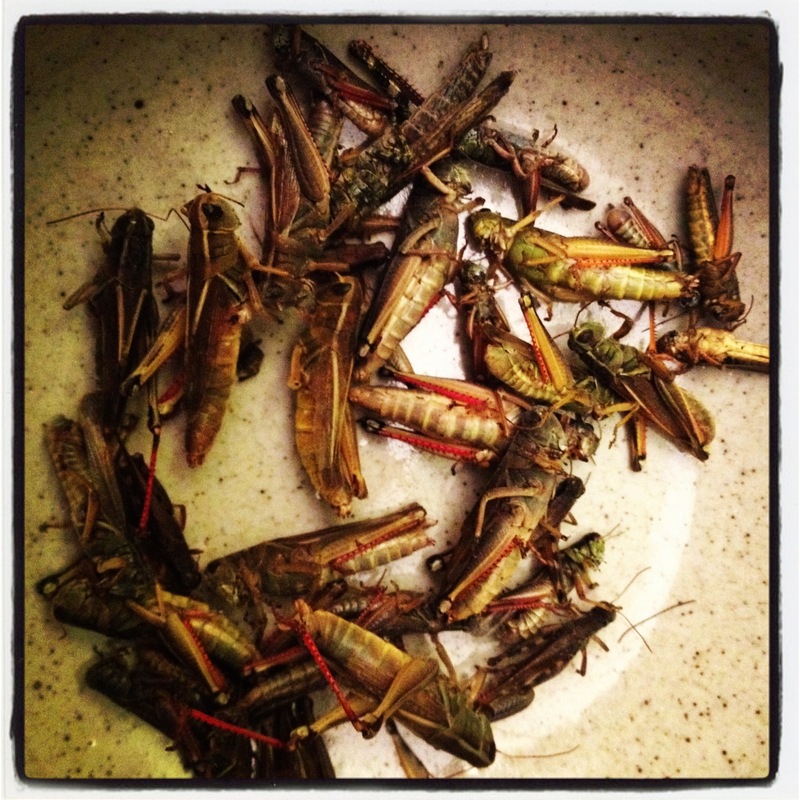 I figured it would be a fun activity to try my hand at harvesting grasshoppers with them. In a few hours, we harvested a quarter of a ball jar of grasshoppers, most of which were fat from stealing kale from the garden. I brought them home and froze them to kill them, then removed the heads and legs. 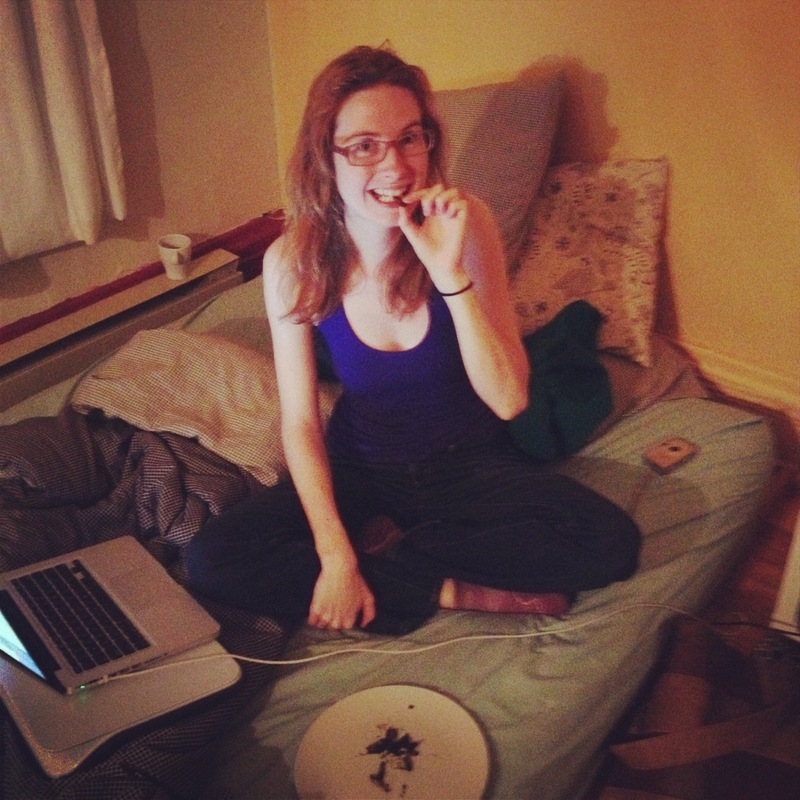 I fried them up in butter and chilli and shared them with my roommate ( seen below) because eating grasshoppers kind of freaked me out. But guess what? They were delicious, and honestly quite beautiful! Hooray! So about this summer projects I’ve been babbling on about! My buddy Luke and I have decided to spend a month of our upcoming summer going completely paleo. This involves us making all our tools and clothing in advance, as well as wild harvesting food to keep our energy up at the beginning of the trip. This idea is inspired by lynx Vilden’s Stone Age living project, but with our own twist: we wanted to be in our own ecosystem in our own backyard. – other niknaks such as rope, combs, etc. We’ve been preparing since last summer, but still have a good two solid months of work ahead, starting in May. Should be a hoot. Any thoughts about this? I want to know what you think! My buddy luke and I are preparing for a full paleo summer, where we will go out with only food and tools we’ve wild harvested. In prep for this, we’ve been doing a lot of wild harvesting. So I went out with my friend Steve to harvest walnuts that look like tennis balls. It’s hard to find them under the trees but mic easier to find them in squirrel middens!!! (Like stealing walnuts from a squirrel). 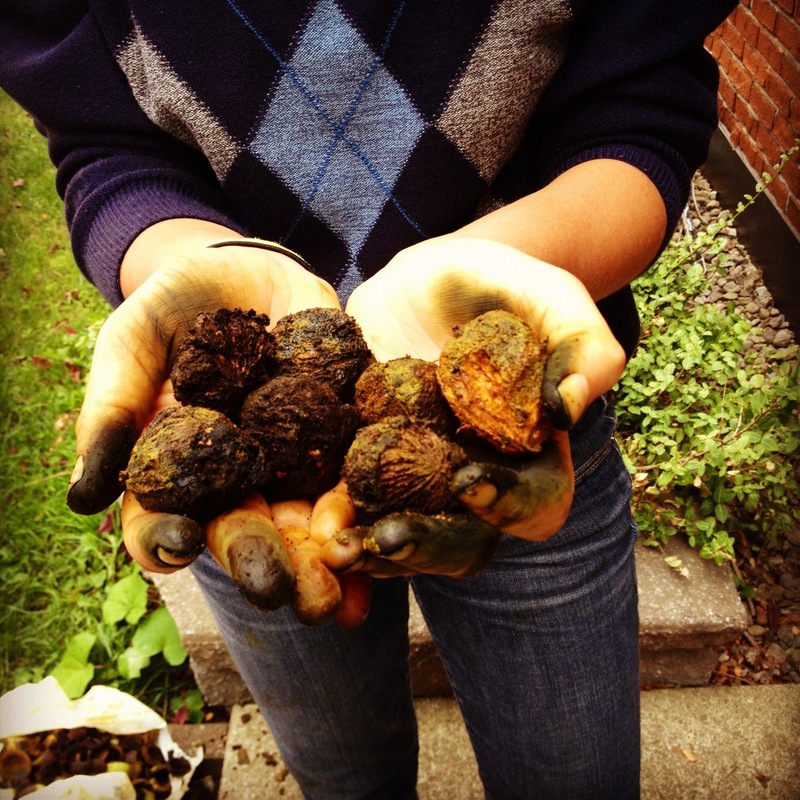 I filled a couple of bags and went to work, husking them, and turning my hands black. They are now drying in my laundry room, and are soon ready to crack. Mints are a huge family of plants, and they’re pretty easy to identify. They all have square stems, opposite leaves, and tend to be fragrant. They also have flowers that often look like mouths, known as bilabiate, and the flowers are found on the top of plant. And, lucky for us, most of them are edible, and none of them will kill you! The other cool thing about mints is that they are incredibly easy to grow, both in your garden, and all over abandoned or disturbed fields. 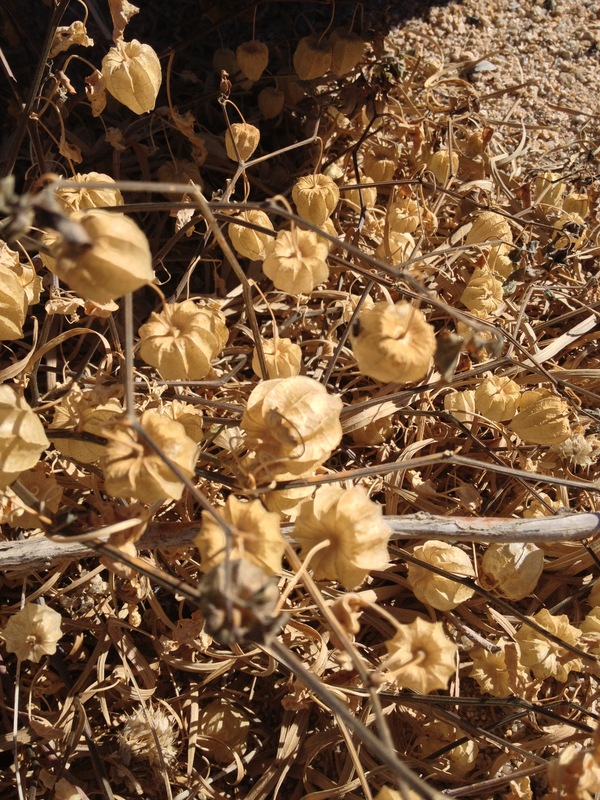 They’re easy to find easy to harvest, and you don’t need to be too concerned about over harvesting, because mints will proliferate if you harvest a lot of them! They’re a plant that loves neglect. Use your mints for cooking, and for tea. Mints are especially good for stimulating digestion. Many mints also tend to calm people down, like catnip and lemon balm, which are known as nervines, for their smoothing effect on the nerves. Mostly, it’s just exciting to find/grow spices that are so easily recognizable by many. Bronze Age Folks Ate Nettle Stew Whaaaat? Cool new archeological excavation found that bronze age families sat down for a delicious bowl of stinging nettle stew. 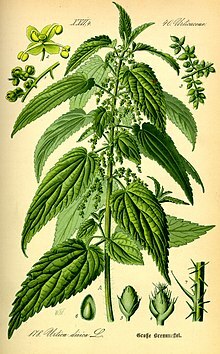 Stinging nettle is highly nutrition, and useful. You can use fibres in the stalk to twist rope. You can also eat the young leaves during the springtime, by drying them or cooking them to get rid of the hairs. It’s a plant incredibly high in iron, so really good for ya! It also helps clean up your blood in the spring time. In the fall, after the plant has gone to seed, you can gather the leaves, which will be high in silica, and make tea that you can use as a conditioner. And even better, it grows in every roadside ditch and in riparian areas. One of my very favourite edible plants, dandelions are known for their ability to stimulate the liver, the kidneys, and the bladder. 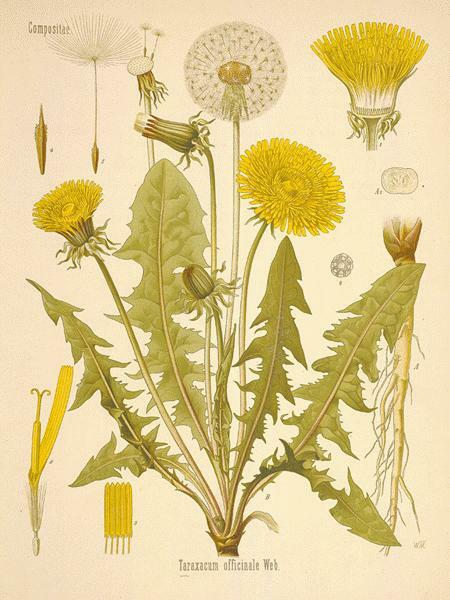 I’ve heard from at least 2 herbalists that if you eat 2 dandelion leaves a day, our kidneys will be happy, and thus so will be the rest of your body. I like to stir-fry my dandys, or steep them in my tea. I’ve also battered and fried the dandelion flower heads, and have read that italians often put them in their salad. ID: toothed leaves, without hair. One flower per flower stalk. 2. Dandelion mead. 1 part honey, 7 parts water, a handful of dandelions, in a bowl, covered with a cloth. Mix several times a day for 7 days. Sweet, and delicious.